Michael Oren served as the Israeli ambassador to the United States from 2009 to 2013. An American by birth and a historian by training, Oren arrived at his diplomatic post just as Benjamin Netanyahu, Barack Obama, and Hillary Clinton assumed office. During Oren's tenure in office, Israel and America grappled with the Palestinian peace process, the Arab Spring, and existential threats to Israel posed by international terrorism and the Iranian nuclear program. From one of Israel’s most acclaimed writers comes a novel of extraordinary power about family life - the greatest human drama - and the cost of war. Ora, a middle-aged Israeli mother, is on the verge of celebrating her son Ofer’s release from army service when he returns to the front for a major offensive. In a fit of preemptive grief and magical thinking, she sets out for a hike in the Galilee, leaving no forwarding information for the “notifiers” who might darken her door with the worst possible news. 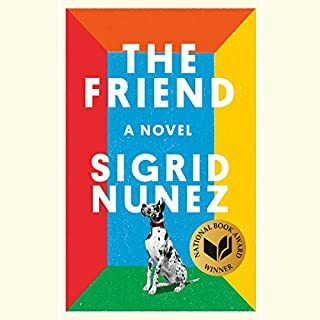 Recently estranged from her husband, Ilan, she drags along an unlikely companion: their former best friend and her former lover, Avram, once a brilliant artistic spirit. Avram served in the army alongside Ilan when they were young, but their lives were forever changed one weekend when the two jokingly had Ora draw lots to see which of them would get the few days’ leave being offered by their commander—a chance act that sent Avram into Egpyt and the Yom Kippur War, where he was brutally tortured as POW. In the aftermath, a virtual hermit, he refused to keep in touch with the family and has never met the boy. 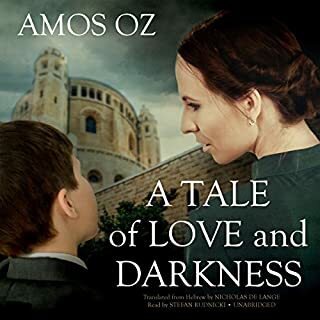 Now, as Ora and Avram sleep out in the hills, ford rivers, and cross valleys, avoiding all news from the front, she gives him the gift of Ofer, word by word; she supplies the whole story of her motherhood, a retelling that keeps Ofer very much alive for Ora and for the listener, and opens Avram to human bonds undreamed of in his broken world. Their walk has a “war and peace” rhythm, as their conversation places the most hideous trials of war next to the joys and anguish of raising children. Never have we seen so clearly the reality and surreality of daily life in Israel, the currents of ambivalence about war within one household, and the burdens that fall on each generation anew. I purchased this as a gift for my wife, but she cannot listen to it. She says the narrator is so inept and inappropriate for this remarkable book, it pains her to listen. The company that released this needs to be told to re-record it with a narrator sensitive to the nuances of the language and the story. I wish I could get our money back. The reviews of this book have been strong and a book-friend highly recommended the written version. When I sampled the audible version, I hesitated because the reading sounded dull, uninspired, a bit whiney - but I took the plunge. I regret it. I quote another reviewer (different book, same reader) because it expresses my reaction: "I found myself mentally rolling my eyes at some of the dialogue, until it occured to me that the problem was the reader and not the prose. When I imagined reading the words I was listening to, everything fell into place and the book instantly improved. " 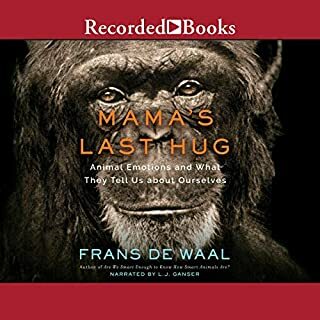 An amazing book - incredible that a man can write so sensitively about maternal feelings, and also observes so minutely and accurately childrens behaviour and language. The narrator left a bit to be desired - but it was not insurmountable, as the story is so absorbing. The story is so close to the bone for anyone who has a child serving in the Israeli Army and this book really deserves 5 stars. This book takes you into the soul of present day Israel. Unfortunately, the narrator, who otherwise reads beautifully, mangles almost every Hebrew phrase or name place. This was so aggravating and made it impossible to follow the story. I was unable to finish listening to this book. A very well crafted novel. 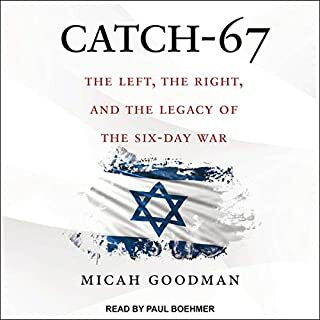 The book is particularly interesting for its insights on the conflict, not from a broad political perspective, but in terms of the intensely personal reactions to events the protagonists have to encounter. Sometimes the journey is painful, but well worth it. I absolutely LOVE this book. Add some explosion claps. I have read about half. THIS is a love story. What kind of love? Love for your child, your first and your second. Love for your partner in life. Husband or someone else, doesn't matter. There is a really weird triangle love relationship, but the further and further I go into the book the more it all makes sense. And by having a triangle relationship you can see, feel and experience again for yourself all the different emotions tied with love. Superb writing! One minute you see a glint of light on a stone, marvel at a simile, are trying to understand your own philosophical approach or remembering your own experiences, and in the next sentence you are abruptly brought back to earth with a snide remark. Avram has one of his rare smiles, and Ora says, "Be careful it might stick." Avram is short, and Ora refers to his "peanut stature". I love the quick changes. You are continually snapped back to real life. Marvelous dialogs. I love the philosophical content. I love the writing. Damn, how many authors can capture what "love" is really about? All different kinds of love. Few authors can capture the inherent differences between how men and women think. WHY do other reviewers dislike Ora? Maybe I would not do what she does, because I simply do not have the courage, but I completely understand her. I admire her ability to do what she does. It is not at all as stupid as others say. Having now finished the book I still feel that it was fantastic, from start to finish. There was only one brief section, when Avram is stuck in a bunker all by himself and is soon to be taken POW, when the philosophizing is laid on too thick. The latter half brings home with a punch how it has been to be an Israeli. The events carry the reader from the Six-Day War of 1967, through the Yom Kippur War of 1973 through to the suicide bombings that continue still today. How do these people look at life today? You understand that too by reading this book. I grew to very much appreciate Arthur Morey's narration of this excellent book, although it took me a while. This is the best book of fiction I have read this year! Its themes are love, family relationships and life in Israel. Fiction? The author knows what he is talking about. 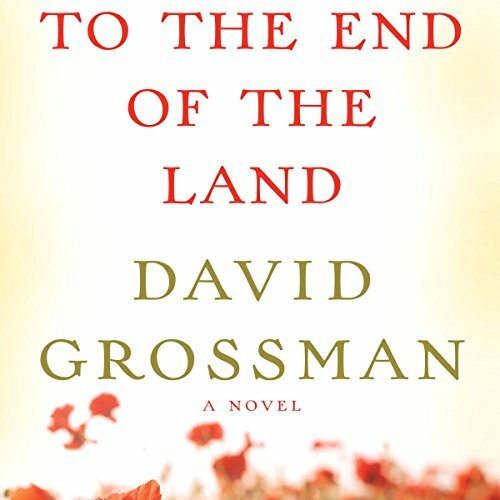 "Grossman began writing the novel in May 2003 when his oldest son Yonatan was serving in the Israeli Defense Forces and the book was largely complete by August 2006 when his younger son Uri was killed in the Second Lebanon War." (Wikipedia). Disappointed. There were no reviews when I bought the book . I based my purchase on the description. that was a mistake. I may not be able to finish it. I am finding it tediously dull - I am not sure if it is the fault of the narrator , the story or both. To quote from a professional reviewer: "To the End of the Land is a breathtaking evocation of the love and solidarity and plain joy of family bonds. 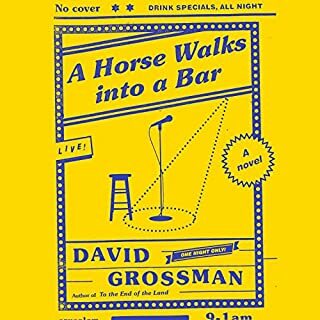 It is precisely because Grossman invests his considerable novelistic gifts in realizing the antic goodness at the heart of all decent families that he can take us into more harrowing territory." 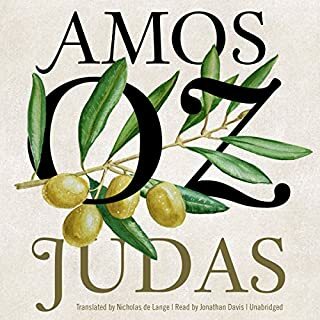 The translation is excellent, however the narrator consistently mispronounces nearly every Hebrew word and name. Some of the place names are familiar to everyone, so it is strange that he wasn't coached. The characters felt every experience through every memory and body cell. For the first time I could actually feel the experience of Israelis' living with Holocaust memories, intifada fears, war dead, torture as captured soldiers, effects on family lives, the beauty of geography, the importance of food, the complexities of love , and so much much more. Listening helped extend the experience even deeper. Wonderful writer!! !